“The number of lives lost on the Mediterranean this year has now exceeded 2000” after 17 people were found dead off the Spanish coast this week, said Charlie Yaxley, spokesperson for the UNHCR refugee agency. He said some 105,000 migrants and refugees seeking asylum have reached Europe so far this year, representing a drop to pre-2014 levels. But the drownings this year mean that the rate of deaths has escalated sharply. The UNHCR “has called repeatedly for urgent action to address this situation,” he said. A spokesperson for the International Organization for Migration, Joel Millman, said it was the fifth consecutive year that arrivals have topped 100,000. But he noted that in previous years that threshold was crossed much earlier in the year. Last year that figure was reached in July, as it was in 2014. In 2015, arrivals topped 100,000 by June and in 2016 it was in February. Spain was the top destination for migrants and refugees this year, with more than 49,000 arrivals by sea, ahead of Greece with more 27,700 and Italy with over 22,160. 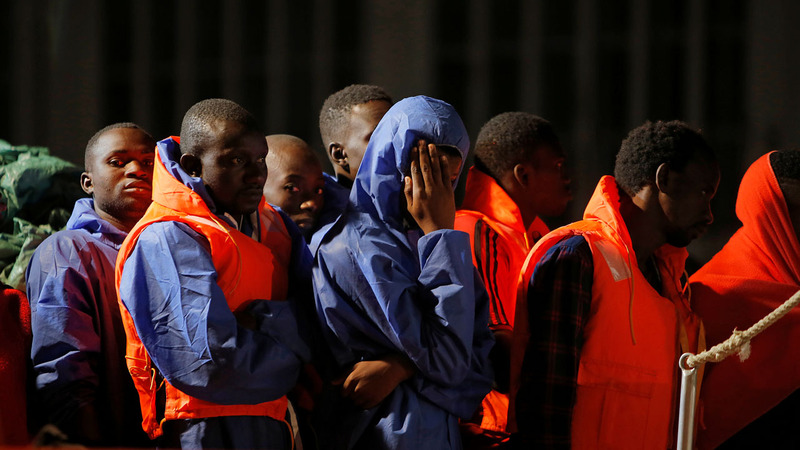 But of the more than 2,000 who died, some 1,260 were en route to Italy, according to the IOM. Many of the migrants make the perilous crossing on overcrowded and unseaworthy vessels. Yaxley also said the UNHCR remains “very concerned about the legal and logistical restrictions that have been placed on a number of NGOs wishing to conduct search and rescue operations” in the Mediterranean. These included operations by the civilian rescue ship the Aquarius, which was chartered by the charities Doctors without Borders (MSF) and SOS Mediterranee.